During the 2000 election, I was living in Florida. A lot of talk was made about Al Gore being the lesser of two evils. Like the Clintons, he was deeply connected with Big Banking, Big Pharma, Big Ag, Big Oil, Big Guns, and Big Prisons. In short, despite his pro-environment talk, Al Gore was in bed with all the moneyed interests that have worked so hard to turn America into an oligarchy. He was influence and controlled by the same powers controlling Bush. I supported Nader, and not just at the voting booth. I campaigned for him. I knocked doors and rang phones for him. He was by no means a perfect candidate, but he was not part of the oligarchy. On Election Day 2000, I voted for Nader. In Florida. I justified it to myself with the excuse that Gore was the lesser of two evils, and in doing so, I overlooked the fact that a lesser evil is inherently less evil. I don’t know what the moral of this story is. You vote however your conscience or your pragmatism tells you to vote today, but remember Florida in 2000. Hindsight, being what it is, how many of us Nader supporters think Gore would have been a worse president than Bush? More than 537 of us? After allegations of neglect, the Massachusetts Department of Children and Families started monitoring Jeremiah Oliver’s family, with monthly visits to check on the welfare of Jeremiah and his two siblings. Or at any rate, they were supposed to be monthly visits. When Jeremiah was finally reported missing in December, the visits from DCF had been irregular for more than eight months. In fact, in June of 2013, the last case worker to visit with the family was told that Jeremiah had gone to live with his grandmother in Florida. You might think that such a change in the life of a young child being monitored by the state’s child welfare agency would spark some sort of follow up. It didn’t. No one from DCF investigated the claim that Jeremiah had moved to Florida, and they didn’t return to the Oliver family until November, for what they said would be their last visit. In December, Jeremiah’s 7-year-old sister confided in someone at school that she was being abused at home, and her little brother had been missing for a long time. He isn’t missing anymore. On Friday, his body was found next to a highway, wrapped in a blanket, stuffed in a duffel bag. The police are proceeding on the assumption that he was murdered, and charges have been filed against his mother and her boyfriend. This would all be horrible enough, but to my way of thinking, it is rendered more monstrous by the failure of a system that should have protected Jeremiah. 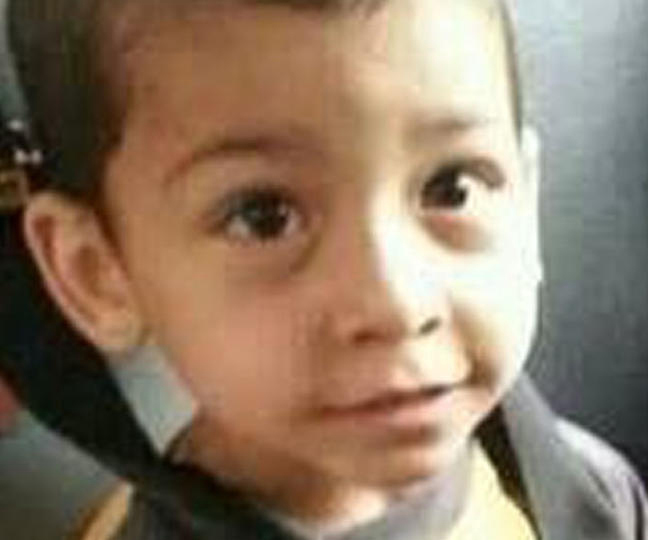 The DCF was aware that he was at risk of abuse and neglect. They were supposed to be checking on his welfare, but didn’t. They were supposed to be alert to signs of danger, and yet they accepted a threadbare excuse for his absence. As though the fire department had received a report of someone playing with matches and gasoline on the front porch of a house, and then failed to respond appropriately until the house burned to the ground. This news torments, and I find myself unable to stop imagining the series of events that brought Jeremiah to that strip of grass by a road, the horrible choices of the adults in his life that acquainted him with that duffel bag. They are the same thoughts that tormented me, when I first heard about Rilya Wilson. Rilya was born to a homeless drug addict who could not care for her. As a result, she was removed from her mother’s care and put into a foster home. In 2002, a newly assigned case worker with Florida’s Department of Children and Families arrived at Rilya’s foster home for a monthly visit. It was the first visit from DCF in fifteen months, because the previous case worker had been falsifying paperwork instead of actually visiting Rilya. Confronted with Rilya’s absence, the foster mother claimed that a different case worker had taken Rilya away for a medical examination, nearly two years before. Twelve years later, Rilya is still in the wind. I know that many people who read Lie Lay Lain are frustrated by the lack of resolution for Shanti, the little girl missing out of foster care in the novel. I feel for them, because it’s a terrible thing, not knowing. We may never know exactly what became of Rilya, and if nothing else, I wanted to be true to that pain and emptiness in Lie Lay Lain. I wanted to acknowledge that she is lost and may never be found. The case worker who failed to visit Rilya for those two years was given 5 years of probation. It seems like a slim sort of justice for someone who was supposed to be checking on Rilya’s safety and well-being. The case workers overseeing Jeremiah Oliver’s family have already been fired, and they are likely to face criminal charges. In Florida, Rilya’s disappearance caused a massive shift in how children are monitored by DCF. Case workers now have to document their visits through photographs and using GPS monitors. This is all a good thing for foster children in Florida, but for at-risk children in other states, there has been no great shift. In Massachusetts, there are possibly hundreds of children missing out of foster care. And that’s just in one state, and it doesn’t take into consideration the children who remain with their families, but are being monitored by child welfare agencies. As a nation, I marvel that we will expend vast sums of money to imprison non-violent offenders, but the care of children ranks so lowly that we think nothing of overworking and underpaying case workers. We can implement facial recognition software in hopes of catching criminals, but we can’t bring that same technology to bear to help identify and locate children. We can compile and sift through massive quantities of internet traffic and phone records, in the name of the war on terrorism, but we’re willing to let thousands of children slip through the cracks to their deaths, because it’s just too hard to keep track of them. It’s official: my second novel, Lie Lay Lain, is out in the world today. The book is about a special events planner who witnesses a hit-and-run, and makes an impossible promise, a church secretary who turns her life upside down to make a lie true, a paramedic whose whole life is a lie, and a child no one will admit is missing. In short, it’s about so much that I find myself practically rewriting the book every time I try to describe what it’s about. In honor of its release, I’m giving away a few copies. First of all, if you drop by Goodreads, you can enter to win one of two copies. You just have to click to enter by April 27th. If you’re not into Goodreads, you can enter to win right here. All you have to do is leave a comment on this post, and I’ll choose two winners at random on April 8th. If you’re not sure what to comment, I’m taking questions about what it’s really like to be a church secretary. *I hope that Lie Lay Lain will turn out to be my sophomoric effort from a strictly numerical standpoint, as my second book, and not in the sense of ill-informed or lacking maturity. Today, I finally stole five minutes at work (shh) to pull my randomly selected winners for my book giveaway. 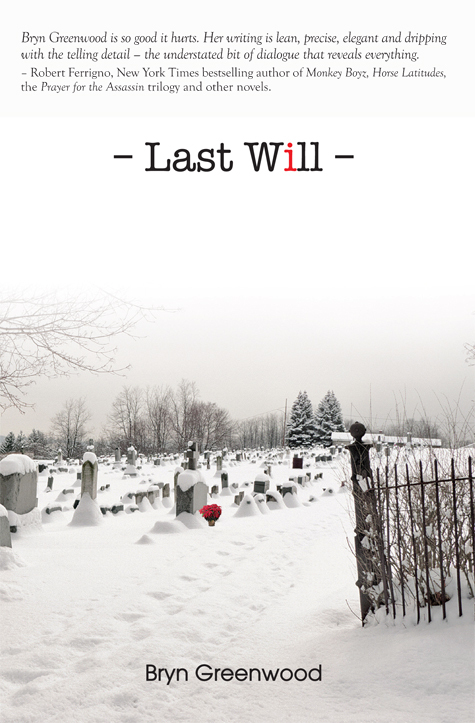 Signed copies of Last Will are going to J.E., who inherited a match safe, which may or may not have sunk on a banana boat in 1914, and to Steph, who inherited her babushka’s babushka. I’ve sent off emails to the winners, and the books will be in the mail as soon as I hear back. 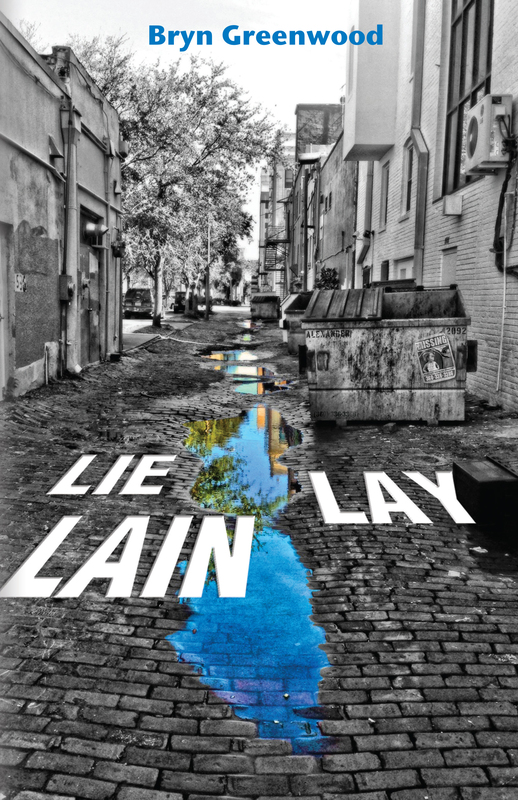 In other news, the cover for Lie Lay Lain has been finalized! It has been a process, not least of which because the book isn’t easy to sum up in words, let alone imagery. And that’s allowing for the conversion rate of 1,000 word/picture. After trying and discarding a number of ideas from the very patient people at Stairway Press, I started trolling the internet for the perfect image. Deviantart.com is a treasure trove. 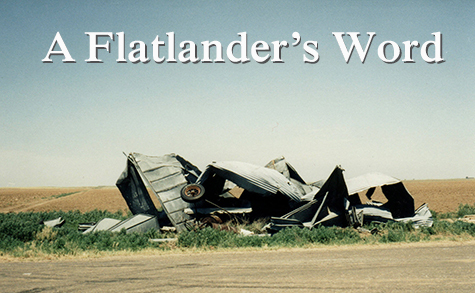 I found a photograph there, and the photographer (Jimmy Fashner) was willing to license his picture for the book cover. A whole lot of back-and-forthing with Stairway Press later, and we have a cover we all like. Jennifer has a great job and a go-getter fiancé. She’s on track for success, until she witnesses a fatal hit-and-run. Mistaking Jennifer for someone else, the dying victim extracts an impossible promise. Jennifer’s fiancé wants her to forget the whole incident, but when she closes her eyes, she can still see the bloody face of the woman who asked for her help. Olivia is in a rut. Burdened with caring for her brain-damaged brother and already feeling like a spinster at 27, she’s desperate to escape. In a moment of weakness, she tells a lie that draws an unsuspecting paramedic into her life. As she struggles to expiate the lie, a horrible act of violence will test her resolve to be honest. Where Jennifer’s promise and Olivia’s lie intersect, their lives begin to unravel.